Created by Terry Stickels, a nationally syndicated puzzle maker. Complete solutions appear at the end of the book. A star system is used to indicate the degree of difficulty. 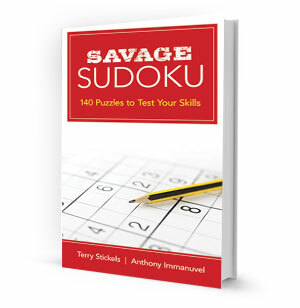 140 puzzles ranging from medium difficulty to extremely hard.